Sharing lodging, transport and meals adds personality to your travels, says Hannah Wayte. 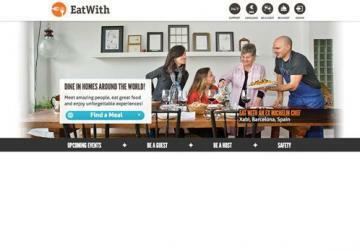 EatWith.com: dine with hosts from all over the world. Spread out across the table before me is an enviable feast in a display of colour any artist would be proud of. The aromas of freshly baked bread, heavily spiced couscous and a steaming hot tagine as its lid is taken off fight for my attention. But this is no restaurant. I am sitting in Nuri’s dining room, which, judging by the computer desk relegated to a corner, was her study until a few minutes ago. On my host’s coaxing, I unceremoniously break off a hunk of bread and pass the rest of it to another guest. Exclamations of delight and appreciation are shouted across to Nuri as we all tuck into the meal she has prepared for us. The scene is no different to any other dinner party at a friend’s house. Except for one thing: until 20 minutes ago, I had never met my host or any of the other guests. Nuri advertised her Moroccan-themed evening on EatWith.com, a website that brings together hungry guests looking for a local dining experience, and the hosts who want to open up their homes and entertain them. Based in San Francisco for a few weeks, I had been looking for an opportunity to make new friends and explore the city. EatWith provided me with a platform to do just that, and it’s how one evening I found myself on Nuri’s doorstep. By the end of the night I learned more about San Francisco, its local eateries and attractions, than any guidebook could have taught me. Good wine and conversation flowed steadily, and as I head out the door I feel I am saying goodbye to close friends despite our four-hour old relationship. 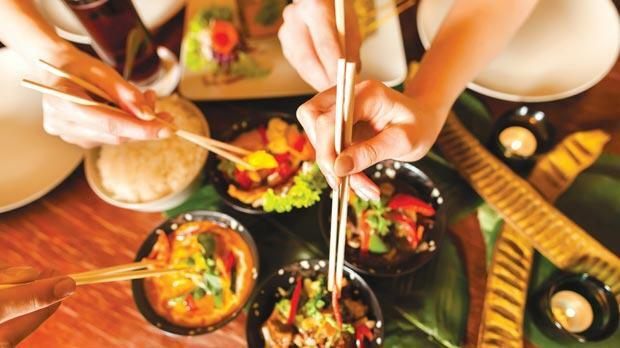 EatWith is just one example of how the budding sharing economy is revolutionising the way we travel. Coined in the mid-2000s, this collaborative form of business allows peer-to-peer interaction and is creating easy access to local experiences which used to be hard for travellers to come by. The sharing economy has an answer to all the main needs of a traveller. For accommodation, look no further than Airbnb.com. This site sets up guests in need of somewhere to stay with hosts who have free space they are willing to share. The Airbnb listing I call home while in San Francisco is in the heart of the Mission district. A beautiful blue and gold Victorian style building, any tourist would be wont to stop and snap a photo of it while wandering around the neighbourhood. Luckily for me, I have the keys to its door in my pocket and can discover the inside too. The house belongs to an artist, who has lovingly decorated the interior with murals, light fixtures made out of kayaks and petticoats, folk painting, and memorabilia from a life well spent on his own travels. Unlike a hotel, the personality of my listing is inviting, and makes it feel like a home away from home. Also, staying in a district which is not typically a tourist zone means that I get to experience a side to the city I might otherwise miss: a lunchtime protest on a street corner, an after school basketball game, and the best burritos you’ll ever taste from a shop that has no TripAdvisor sticker on the window. Then there is Lyft.me, the transport equivalent to Airbnb and EatWith. Forget hailing a cab: all you need to do is log on to the mobile app, let it track your location, and choose from any of the nearby drivers, all of whom are rated by previous passengers. The first time I use Lyft, I am a little worried as to how I will identify which car is picking me up. Those worries are soon abated when a car with a giant pink fluffy moustache tied to the front bumper rolls up. My driver is Kevin, part-time Lyft driver and full time organiser of the Air Guitar World Championships. During the 15-minute drive, I learn what it takes to be a world class air guitarist, and am given some recommendations on how to get the best out of the music scene in San Francisco. I hastily take down the names of a few nearby venues as I clamber out of the car. The sharing economy is opening up doors in every city across the world, and in doing so it is building a trust-based global community. Each experience offers travellers a more local perspective than the traditional alternative and, most importantly, a memorable human connection that fosters a deeper insight into our destinations.